This is the first stop on a new slate of reviews I'll be posting on Nikki-Michelle's Spot. Before I ever had dreams of becoming a writer, I was a reader. That hasn't changed. I love to read. A good book can always take me away like Calgon. Next up, Black President by BHE. I should note that this book is on Kindle Unlimited. As you know, as a reader, I'm a fan of Kindle Unlimited. If you're a reader looking to test a new author, KU is a good investment, especially in this market of....eh, that's a story for a different day. Back to Black President. WHEW! When I tell you this book kept me up reading it long after I said I was going to bed, I ain't lying. So let's get into it. The book opens up with First Lady Raynetta Jefferson voicing her disdain for all the disrespect that had been flung at her and her husband, President Stephen Jefferson. I should make note that Stephen is the second Black President in this book as President Obama's reign had come to an end. From the moment Raynetta opens her mouth, we already know she's not here for the foolishness. While she has some issues with her husband, she has more issues with the disrespect he's shown and believe me when I say, the disrespect is never-ending. However, I was happy when President Jefferson got the guilty party right together at the beginning of the next chapter. President Jefferson is slick at the mouth. He put the disrespectful party so far in their place they needed a flashlight to get out. The House Speaker even tried the President, but Mr. Jefferson (read the book to find out why I just did this) wasn't having it. The House Speaker had to learn the hard way not to come for the President either. 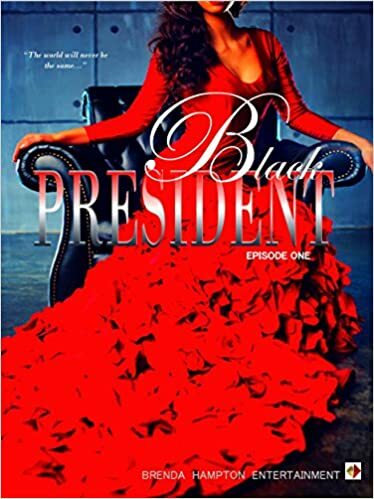 In Raynetta's first chapter, we already know the President and the First Lady have some things they need to work out in their marriage as the President is a noted Lothario. We also see the tension between the First Lady and her mother-in-law. President Jefferson is cocky and arrogant and I have a feeling it's going to bite him in the rear sooner rather than later. This book is chock-full with dirty politics and an even dirtier President who can't seem to get his lust in check. It's entertaining and thrilling. And that last chapter put things in perspective for me. I didn't see that coming and I hope the President can reign in his lust before it gets him tossed out the White House on his rump! I give this book five pages (think five stars). Nikki Michelle recommends this book. Please note, there will be three books in the Black President series.